← The Eleven Plus Treadmill. I had a traditional education in a convent and I loved it! A few months ago I came across some photographs of my old school taken in the 1920’s. What was amazing was that these photographs showed the school just as I remember it. 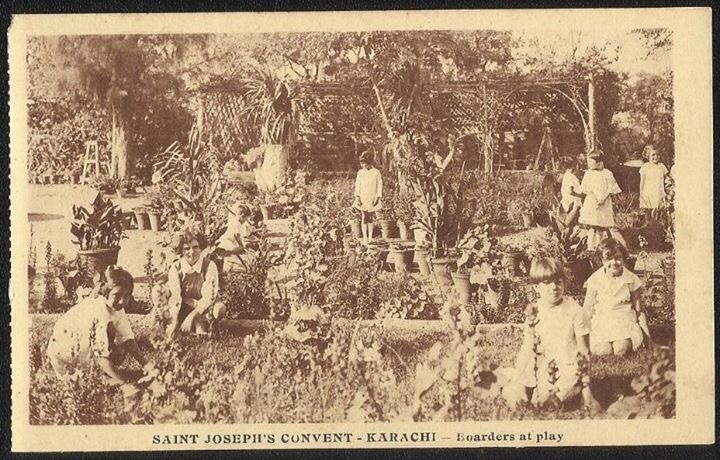 St Joseph’s Convent School for Girls is a private, selective school in Karachi, Pakistan. It was founded in 1862 by Belgian nuns. Today there are around 2000 students on roll. It’s an all through school. What do I remember about my time at the school? Well, obviously my friends. Many of us are still in touch with each other. When we meet we are the same happy go lucky, giggling teenagers we were at school. We are very comfortable in each other’s company in the way only childhood friends can be. There is no pretence, just the joy of being in each other’s company and I think St Joseph’s has a lot to do with that. I’ve never forgotten the wonderful staff, both the nuns and others. Unlike the common impression people have of a convent education, the nuns who taught me could not have been kinder. That is not to say they weren’t strict. They were, but they were fair as well. Teaching was what people would probably label as traditional. The photograph below dates back to the 1920’s but my classrooms were the same. Teachers stood at the front and we sat in rows facing the blackboard. There was homework and there were tests. Miss Aileen Soares, our maths teacher (she completed 50 years of teaching in 2011!) used to start each lesson with a 5 minute test, the results of which would count towards the final grade. She would walk up and down the classroom and at the end of the 5 minutes she would say, “Books up for correction”. Girls sitting at the front of each row would get up, collect the books and take them to the staffroom. When Miss Soares would show us how to solve a problem, she would explain while writing on the board and when she finished she would start erasing it. You quickly learnt to pay attention in her lessons! We were expected to have impeccable manners and a great deal of emphasis was placed on good behaviour. There were consequences if homework wasn’t handed in on time. There was never any low level disruption. We stood up whenever an adult came to our classroom. We were expected to behave as well brought up ladies or we would be taken to task by Sister Zinia, our principal. I know this may sound very Victorian, but even with the advantage of hindsight I can’t see anything wrong with that. There was a narrow staircase which you can see in the photograph below. We were expected to let the other person pass before we went up or down it. Years later when I was studying in the international school in Colombo, Sri Lanka, I stood at the bottom of the stairs waiting for the headteacher. When she came down, she asked me why I hadn’t gone up. I explained that that was the way I had been taught by the nuns at my previous school. I said a silent thank you to them when she said she thought I was very polite. Looking back I know that one of the reasons for the school not having any issues with behaviour was that the sanctions for bad behaviour were clear and consistently applied. Teachers were backed by the senior leadership team and we knew it was no use complaining to our parents. For one, they wouldn’t go against the teachers because culturally teachers are respected by everyone and parents would never overrule a teacher. Secondly, and again this is down to culture, the same boundaries were applied at home too. As far as the curriculum was concerned we studied English Language and Literature, Urdu, Maths, the Sciences, History, Geography, Physical Education, Art, Music and even needlework! We were expected to memorise scriptures, time tables and poetry and were tested on all of these. We were lucky enough to have a huge playing field, which we, for some reason, called the Hockey Field, as well as a tennis court. There was healthy competition between Houses and an Annual Sports Day where trophies would be awarded for individual and House winners. We were taught to be magnanimous when we won and took defeat in our stride. Credit for above photograph: Shamim Taufiq) This was a convent school in a Muslim country where everyone had “British values”. My friends were Muslim, Catholic, Protestant and Zoroastrian and the religion each of us followed mattered not one jot! Again, I think that was down to the environment at home and at St Jospeh’s. Some more photographs to give you a flavour of my school. 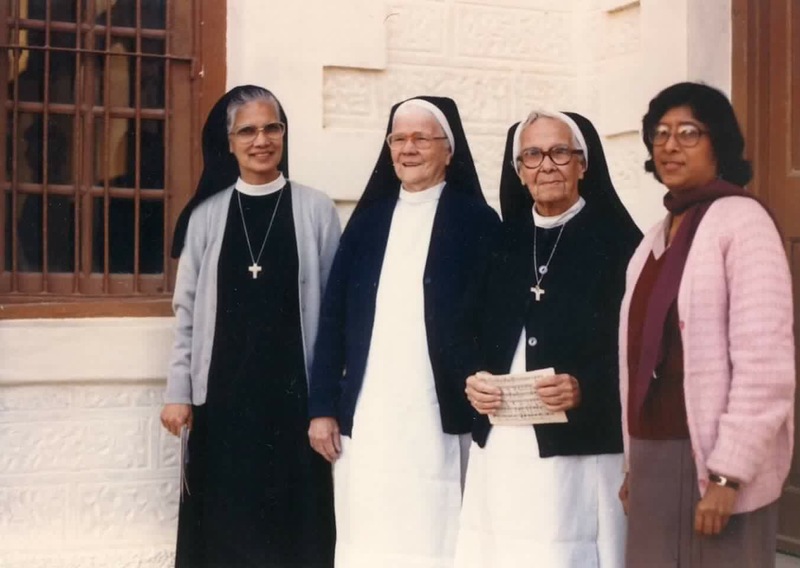 Left to right: Sister Zinia Pinto, Sister Francis Mary, Sister Cecilia Francis and Ms Aileen Soares. Some more photographs from the 1920’s. Mrs Lobo, our Music teacher. I recently came across a question posed to teachers on Twitter which was, “Would you send your child to the school you teach in?” If you ask me if I would send my daughters to St Joseph’s Convent School for Girls my answer would be yes. That is the biggest accolade I can give to my school. 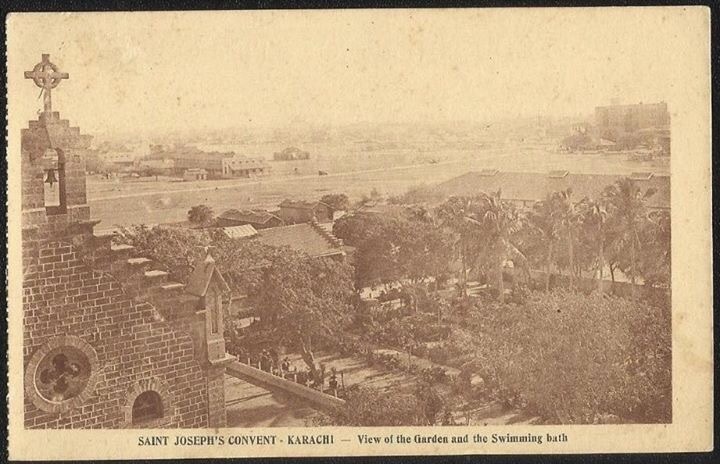 This entry was posted in Uncategorized and tagged convent school, photographs, St Joseph. Bookmark the permalink. 66 Responses to I had a traditional education in a convent and I loved it! What a great article!! I am so grateful to the nuns for giving me lifelong skills, they and the teachers that I had especially Miss Soares were character builders for me. What a nicely written article. Cannot say enough about how my school molded me . I was there when we had the afternoon shift from grade 1 – 5 and then morning shift from grade 6- 10 . I always try to visit whenever I go to Pakistan. My only regret that my daughter did not get to go to my school and have the same experiences I had. Very comprehensive! That’s what my English Teacher, Mrs. Teressa Das would have said. I have a history with St Joseph’s School and College; I graduated from there, my sister graduated from there. 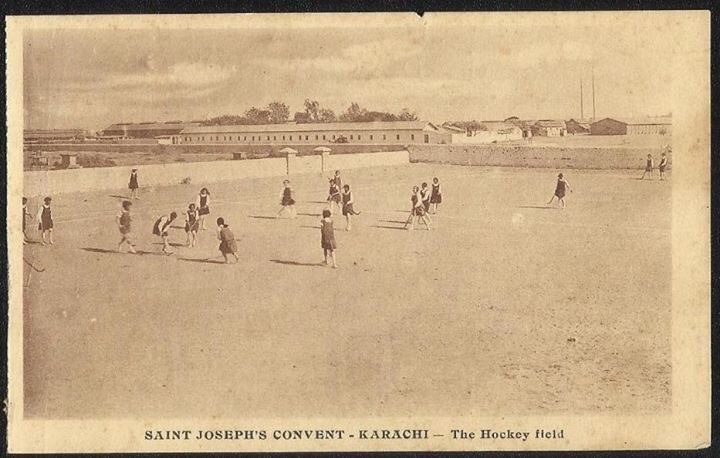 My daughter studied in St. Joseph’s school before we moved abroad, and then her daughter studied there for sometime, too. Not to mention my husband’s sisters, my cousins and my nieces! All my close friends are from St Joseph’s and we are still as sincere as we were then. My upbringing at home and a traditional education in a convent have taught me how to live my life. Wow! That’s some history! I, my sister, aunts and cousins all went there too. What marvellous photographs. How vivid is the memory of those green titled corridors – dark and cool in the summers. Can still recall the taste of Mrs Wellows’ milk toffee and the red nosed bus with the grouchy Juma Khan who used to drive it! So many other memories of school and college – but need to write a longer piece about it. bestest school ❤ worth studying there! Thank you. I agree with everything you’ve said. “Recollecting memories of school days is a way of holding onto the things you love, the carefree way we were”. Its in school that we make our first friend, have our first crush, and learn our first lessons of life. Thank you! What a lovely article. Took me back in time. St. Joseph’s Convent has taught us what we are today. Had I been living back home, I would have definitely sent my girls to St. Joseph’s. Thank you. Yes, credit to our parents for sending us there and credit to our teachers and friends who made it an unforgettable experience. My my what lovely pics.reminds me my old school days. Miss all my friends but cannot reach them.esp SADAF FEROZ KHAN,MOBEENA NAWAB,ROMANA KOTHARI ETC ETC.BATCH OF 1985-86. How can i find my old friends can somebody help me.can we get a list of these batch girls? If you post a message on St Joseph’s pages you may get lucky. Hi Anila, trying to locate Naheed Zakaria class of 1976, she has 2 younger sisters. Thank you, bringing back those memories have tears in my eyes, those were the best years of my life. Awww that is so sweet….this article has taken me back to those wonderful days. ..i missed them so much…but i am lucky enough that my daughter is also joining it from this April. ….and i will be enjoying it again with my daughter…. Thank you and congratulations on the fact that your daughter will be following your footsteps. Wonderful article with beautiful pictures. Thank You! I was at SJC in the mid 70s and really did not want to attend the school. My parents insisted I attend, and I joined Class VIII Cambridge section reluctantly. Attending St. Jo’s was the best thing that happened to me. I made lifelong friends, had amazing teachers (including Miss Fikri, Miss Soares, Miss Siddiqui and many others) who were inspirational role models. I participated in sports, music and everything else that was going on. The lessons I learned at St. Joseph’s fueled my determination and resilience. This early foundation helped me transition to a new life in Canada, earning a graduate degree in Business and continues to stand me in good stead today. Proud to be a St. Joseph’s alumni! If I can be of any help to any other St. Joseph’s alumni, please don’t hesitate to reach out. Thank you for your kind words. You are a true St Josephian! A exceptionally well written pictoral article took me back to the most wonderful time of my life. Beautiful architecture & great motivated teachers. Nostalgia at its peak!!!! I miss my school days….thankyou St.Josephs for what I am today! Walked down Memory Lane and it was absolutely beautiful. It’s a pity that kids of today in Europe or elsewhere do not have the same opportunity to develop as we did. A big thanks to all who helped us in being what we are today. A Catholic Convent education for me, too. Mine was in the middle of a sort of mini-Islamic city area. I also remember being told to scrub my makeup off, having been told that life was about so much more than looking good! I thank those nuns too for installing in me those very values by which I now live my life. 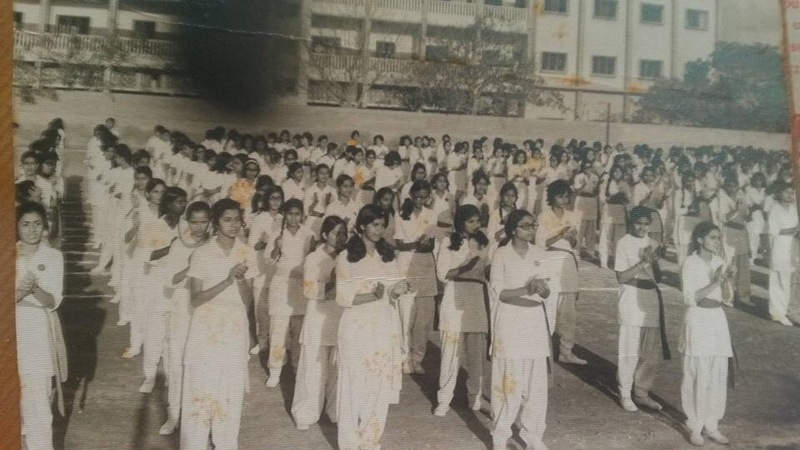 on FB from 68 batch my daughter went to same school ,my daughter- in -law from same school . ,beautiful memories. What a lovely article. Enjoyed reading every word as it took me back in the 70s relived childhood wid those pictures. I studied there till 1977- class 9 th and having lost my father migrated to india. I m so grateful to whoever has written this. Pray Allah gives me a chance to visit it once again. Thank you for taking me back to my school days .Just seeing those pictures I imagined my self with my friends and all the fun times spend there . Thank you, Ambereen. The school days were the best, weren’t they? First of all “Thank you for making an effort to share such beautiful photos” secondly for writing the thoughts/feelings of many of us. I too had the privilege i would say to study from St.Josephs convent & College. I take alot of pride to belong to an institution which has fine tuned my personality, taught me so much that having been to Convent makes me(or us all) stand out. I thank all the Nuns to add to our values & teach us to be disciplined in life….i could go on with list. Thank you, Fatima, for your lovely comments. I agree with all your sentiments about the school. Thank you so very much for a wonderful article – thoroughly enjoyed it and it brought back wonderful memories too. Sister Longina was my Principal at the time I was there (1954-1959). St Joseph’s gave me a wonderful grounding and the importance of being an independent woman. The confidence I gained there stood by me the rest of my life and in fact I became the first female Mayor of our Shire (Caboolture Shire, Queensland, Australia!) together with a number of other ‘firsts’ in our area. Thank you St Josephs. I would love to hear from ‘girls’ of my era. Thank you for reading and then commenting. The beautiful thing about our school is that we all look back at those days with happiness. If a school can make its students do that, it’s succeeded! Loved reading the wonderful article.I was in SJC from 1952 to summer of 1960,in the Cambridge section.Sister Longina was our principle.Went back memory lane ,and am so happy I was there. Thx for sharing with us remarkable school best way of upbringing children fabulous teachers n administration.Proud to be student of such great school .what iam today fully confident is due to my parents n then at same level cms my school. What a lovely article. It brought back so many memories. I too went to St. Josephs convent and can totally relate to everything the author has said. It was and is one of the finest institutions in Pakistan and who ever I am today is because of this great institution. The values taught at home that were reinforced at school has made me the person I am today. The nuns were kind, firm and fair. They taught us to be ladies. We had students from all stratus of society, studying together. Once we were inside the safe walls of the school we were all equal; there was no rich or poor. We sang Christmas carols and had milad and everyone had to play during the games period. 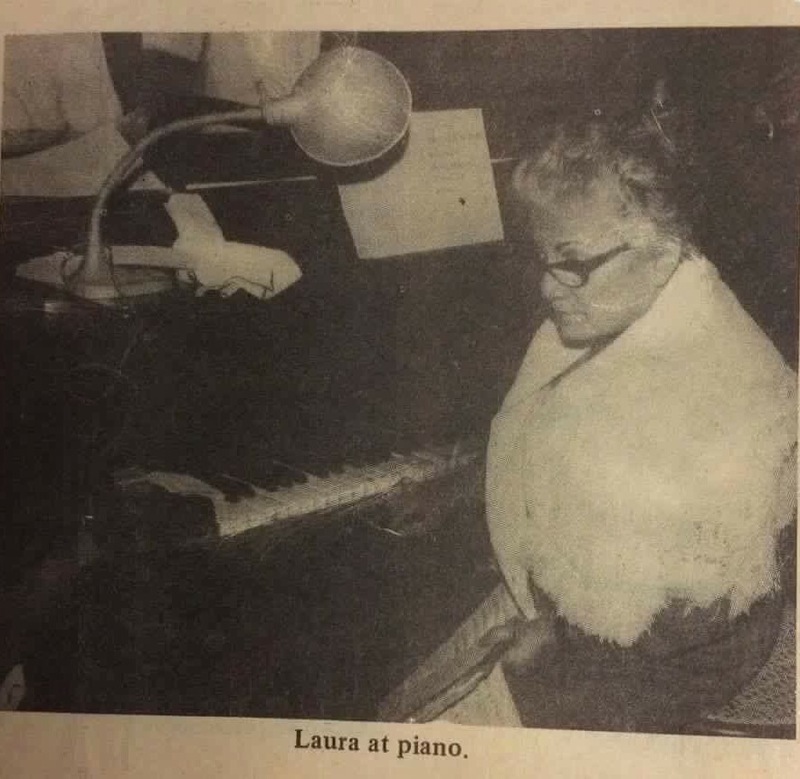 We sang songs with Mrs. Lobo and had needlework and art classes.It was truly holistic education. I could go on and on about the beautiful memories and words would fail me in describing the wonderful place this institution has in my heart.I teach and feel that education has become a business now. We need more selfless schools like St. Josephs. Thank you to all my teachers and to the nuns. Yes, a beautiful description of my school, St.Joseph’s. St.Joseph’s taught me not only academics, but life and social skills as well.I am who I am now because of this school.I graduated from St. Joseph’s in !970 and moved on to do my Inter-science at St. Joseph’s College. I reminisce playing interstate and inter-school netball, throwball, volleyball and baseball. This school prepares a student to become an all-rounder with its classes in music, art, sports, cooking, and others. Ms.Soares made Math very challenging and I never got passed 2/10 on her tests, but graduated with a distinction in this subject!! !How well we were prepped by great teachers like her.In my 40 years of teaching at the International School Yangon, I was very influenced by Ms. Soares’ style of teaching. Thank you, Saint Josephs.